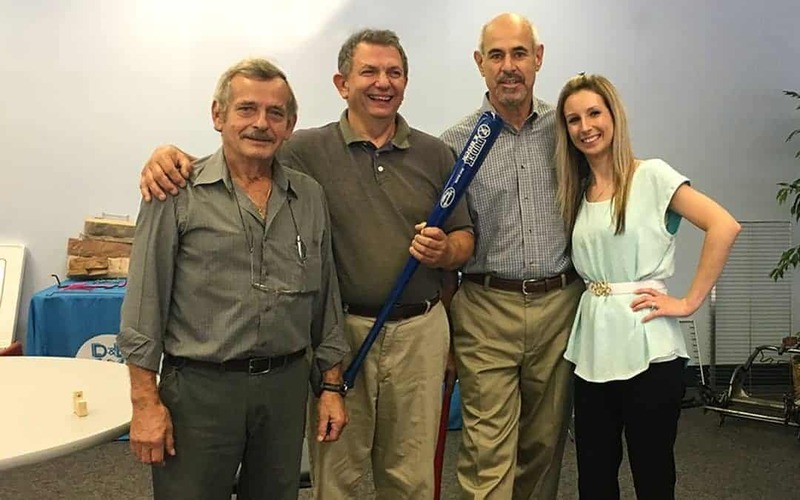 The Team Player Bat is a long-standing tradition at Dudek & Bock to recognize employees who go ‘above and beyond’ as part of the Dudek & Bock team. In October 2017, John Wrona (left), our Facilities Manager passed the bat to Engineer Jack Tchorz. Dudek & Bock President John Dudek and Human Resources Manager Katie O’Leary preside over the Passing of the Bat ceremony.